Pete's straight dope on shady ebay sellers. Ramon fears for his life at the hands of Upper Deck. Adam's herpes are nearly gone! Thanks Jersey City Medical Center! Due to an accounting error, Pete's Basement will be taking this week off. Hooray! I mean - Boo! We'll be using this time to spruce up the other facets to Pete's Basement, and we don't mean the folding tables. I know, it'll be tough to get through this week without us, that's why I'm giving you this absolutely free drawing of the Poo Monkey. 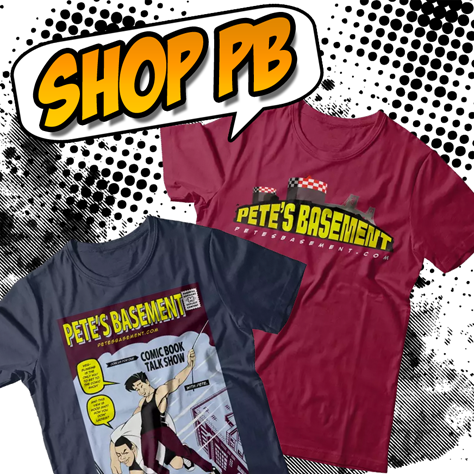 And join us back here next week, for a brand new episode of Pete's Basement!